4x4, Leather, Navigation, XM Radio, Back Up Camera!!! 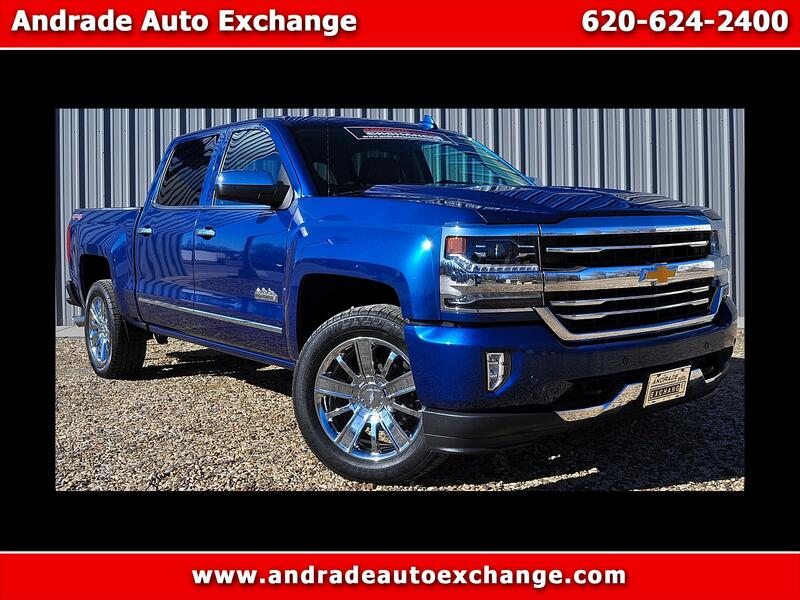 Reward yourself with the unrivaled strength, style, and status of our 2016 Chevrolet Silverado 1500 High Country Crew Cab 4X4 in Deep Ocean Blue Metallic! Powered by a proven 5.3 Liter EcoTec3 V8 that offers 355hp while connected to a durable 6 Speed Automatic transmission with tow/haul mode. This Four Wheel Drive combination executes flawlessly to provide you with near 23mpg on the highway and plenty of muscle to get your job done with ease! Move on up to the Silverado High Country, and you'll see it looks sharp with its muscular front end, sculpted hood, chrome wheels, and signature LED lighting accents. Open up the door, and you may think you're in a luxury sedan! Top-shelf amenities include remote vehicle start, a rearview camera, heated and cooled perforated leather seats, power accessories, and a driver information center. It's easy to stay in touch thanks to Chevrolet MyLink with voice activation, Navigation, Bose audio, an 8-inch color touchscreen, Bluetooth, available satellite radio, wireless charging, Android Auto and Apple CarPlay capability, and OnStar with available WiFi. This Chevrolet is built strong and received top safety scores with its high-strength steel, Stabilitrak, 4-wheel ABS, daytime running lamps, and plenty of airbags. You deserve a Silverado that can keep up with you, whether conquering your work day or playing hard on the weekend. Treat yourself to this truck! Print this page and call us Now... We Know You Will Enjoy Your Test Drive Towards Ownership!